Antoinette Middleton, of the Law Offices of Antoinette Middleton, receives membership in the elite American Academy of Estate Planning Attorneys. This is an elite membership organization, and the Academy supports attorneys across the country by providing them with the critical continuing legal education they need to properly counsel their clients on all of their estate planning needs. 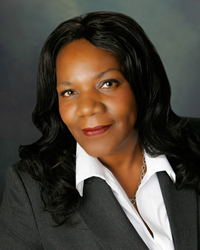 Antoinette Middleton, founder of the Law Offices of Antoinette Middleton, is proud to announce she recently joined the prestigious American Academy of Estate Planning Attorneys. “This is an elite membership organization, and the Academy supports attorneys across the country by providing them with the critical continuing legal education they need to properly counsel their clients on all of their estate planning needs,” said Middleton, who earlier this year decided to focus her practice on estate planning. By joining the American Academy of Estate Planning Attorneys, Middleton is proclaiming her commitment to provide clients with the highest quality estate planning services. She will also offer advice on wills, trusts, health care power of attorney, Medicaid and Medicare planning, tax planning and qualified retirement plan distribution, organ donations, limited power of attorney and federal, estate and gift tax returns. “My first priority is to meet clients’ needs with the utmost compassion and professionalism,” concluded Middleton.